Call and Text With Multiple Numbers From Your Existing Device. Instantly. Take control of your phone! With Flyp you pick your area code, you decide when people can access you, and you can stay connected internationally without breaking the bank. Download Flyp today and try your first additional line free for 7 days! 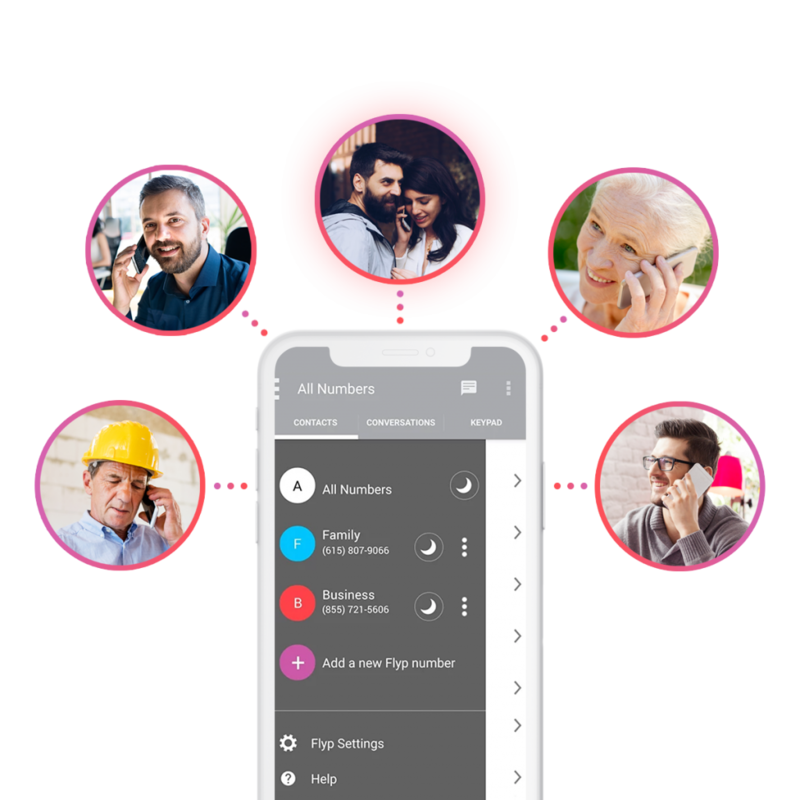 Instantly add multiple phone numbers to your device and take back control of who can call you and when with per-line Do Not Disturb and call blocking. See all your calls, texts and voicemails in one place. No more hopping all over your phone, Flyp is simple, streamlined and convenient. Choose your area code for each of your new Flyp phone numbers, giving you the local presence you've been looking for. Flyp has the highest quality calling over the cellular channel. Say goodbye to unreliable Wi-Fi calling apps! Flyp has simple, modern pricing that we can all understand. No confusing credits. No hidden fees. Ever. Try your first Flyp number free for 7-days! 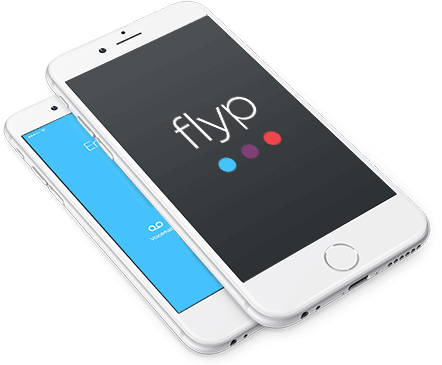 Flyp is changing the way people use their mobile phones. The company’s proprietary platform delivers the highest quality voice and text communications in or out of network, while enabling the use of multiple phone numbers on a single device. Learn more here.